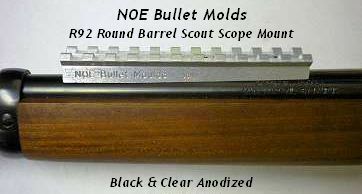 I have a Rossi single shot in .22-250 and have been looking for a .44 mag barrel for it. I wanted something to throw on the 4 wheeler when riding around the farm and maybe leave in the shop for the 4 legged critters that show themselves . Kind of a beater rifle is what I am looking for. Anyway my local LGS just got in a used Rossi .44 mag single shot that looks virtually unfired. He also will sell me his Savage 219 .30-30/16 ga. $275 for the Rossi and $200 for the Savage . I think he is high on the Rossi but we haven't discussed the price yet. The Rossi is shorter and more compact than the Savage, which is what I am looking for. I have shot the Savage in the past and even took a whitetail doe with it, the LGS and I are good friends. I am open for suggestions as to which to buy. I like the compactness of the Rossi but am leaning towards the Savage. It is cheaper and kind of a 2 for 1 buy. I also know it is very accurate from my past experience.